Despite the fact that the proposal was addressed to the government of the Kingdom of Saxony, the first to react on the generous offer from the Russian was the neighboring duchy of Anhalt-Köthen. And of course, Duke Friedrich, as a sovereign of this very small state, was actively seeking any ways to fill its treasury. Even if for this purpose, it would be necessary to master the virgin land in distant Tavria. 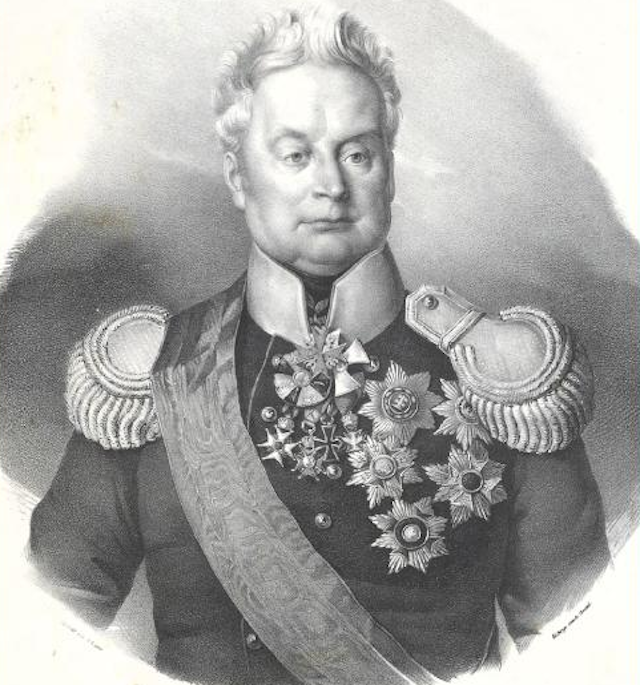 Particularly relevant additional earnings for the Duke became after Prussia swallowed up the neighboring Saxony and introduced a duty on river navigation along the Elbe. This river was the main transport artery for the disobedient Anhalt-Köthen. However, Friedrich did not have time to fully enjoy agribusiness in the steppes of Tavria. In 1832, his exhausted heart couldn’t handle continuous political intrigues in his homeland and the wearing of heavy orders. After the death of the founder of the Askanian sheep fold, the rubber seal and keys from the bookkeeping safes of the shepherd company received the brother of the Duke – Henry Anhalt-Kotensky. Heinrich continued his relatives’ merciless dangling on the ocean. Until 1841 he carried in the Kherson province the remains of his German collective farm, together with a priest and a fident. 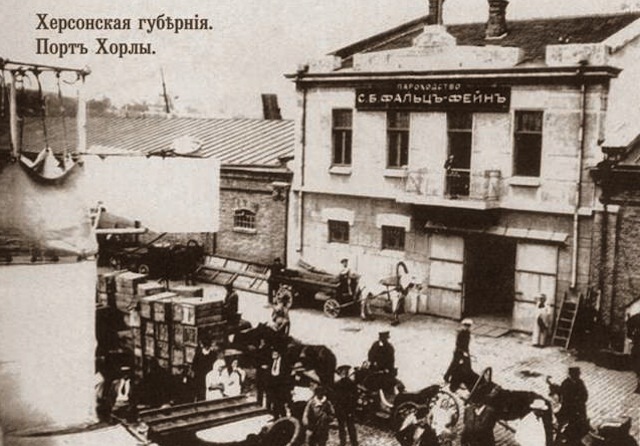 Packing his back office, Kotten took more wine and beer production. However, genes are serious and forever. In 1847, not recovering from the next aperitif, the Duke went after his brother to the creator. So the dynasty of the Anhalt-Kotten gentry stopped. In addition, in the last few years of his rule by Askania New, it became clear that the shepherd’s business is no longer a cake. 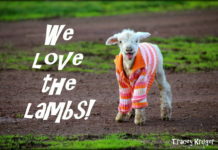 For sale were only weak rabid rams, which greatly undermined the reputation of the economy, increased the receivables, payroll debts, and besides, the hiding in the budget in the budget was nowhere – farming was already in the economy nobody was engaged in. Such a cycle of dukes in nature has had a detrimental effect on the economic activity of the entire Askanian economy. The contractors did not have time to learn difficult German surnames, as their owners served on permanent residence in Valhalla. 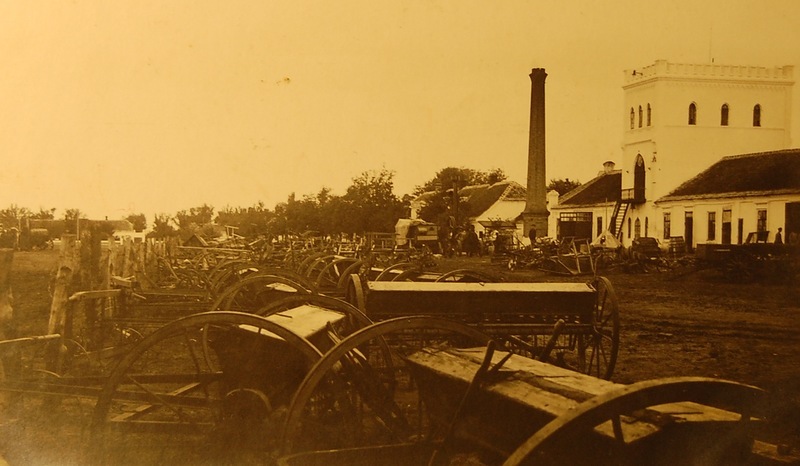 The profit fell on October 6, 1856, when the company’s debts reached 1 million gold stamps, the colonists put up their unprofitable company for sale. The buyer did not force himself to wait. 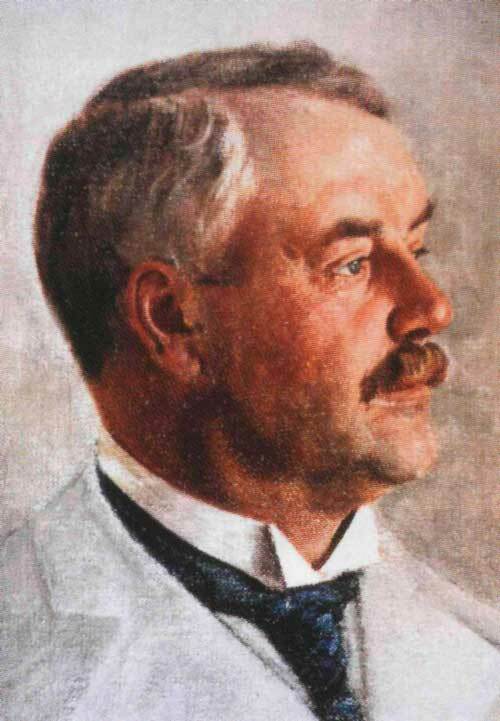 He became another local farmer with a non-residential name – Baron Eduard Ivanovich Falz-Fein. For the Anhalt-Kutten farm, he offered the best price – 1.5 million gold stamps. Recognizing that bankruptcy has been replaced by rehabilitation, the colonists were thrilled to rejoice. Riesling and sheep’s blood were pouring over the river, holy the key, somebody beat the vet in the depths of the bark. Falz-Fein, regardless of the surname, was better on the head than the previous head of the farm. The new owner of Askania Novaya Innovations has begun. 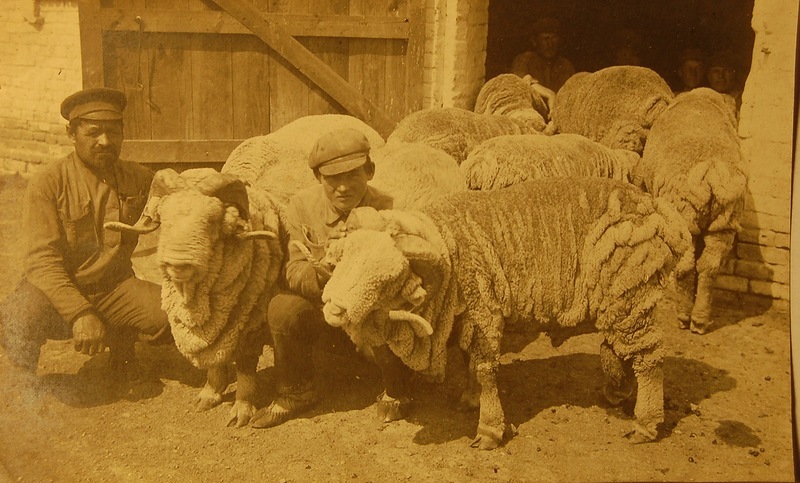 Baron became one of the first who began to cross the most popular breeds of sheep. As a result, even in spite of the crisis of 1824, when no more than 300 sheep were left in the baron’s economy, he managed to quickly increase the stock that he felt great in the temperature of the Taurian steppe. 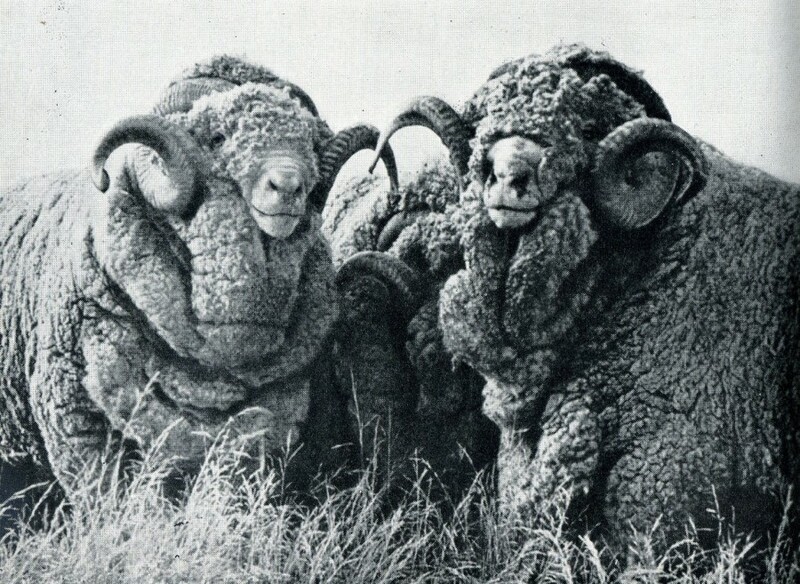 Ten years later, the stock reached 100,000 sheep of a new, hybrid breed. The peak of the livestock reached in 1867 – 400 000 sheep. So Baron Falz – Fein did not become Munchausen, and the largest landowner and breeder in the South of the Russian Empire. 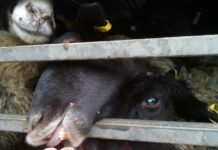 Soon, in addition to the woolen breeds in the furrows of Falz-Fein, sheep meat breeds also appeared. 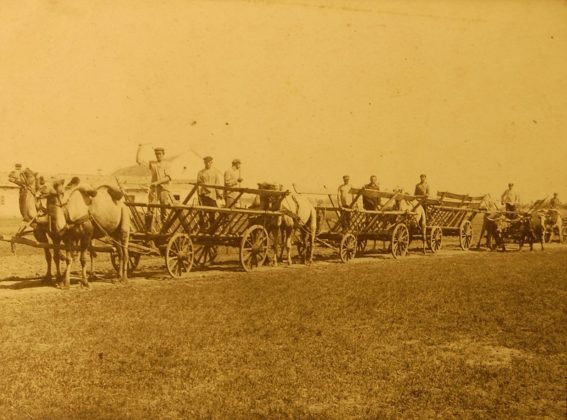 At his estate Elizabethfeld, located not far from Melitopol and near the railway to Moscow and St. Petersburg, the baron began to breed sheep of meat breeds. 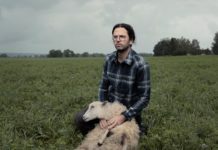 Such logistics allowed the farmer to adjust the supply of delicious lamb to the markets of both Russian capitals in the shortest possible time. The freshness of the product was guaranteed by the ultra-modern packaging of the time – paraffin paper. 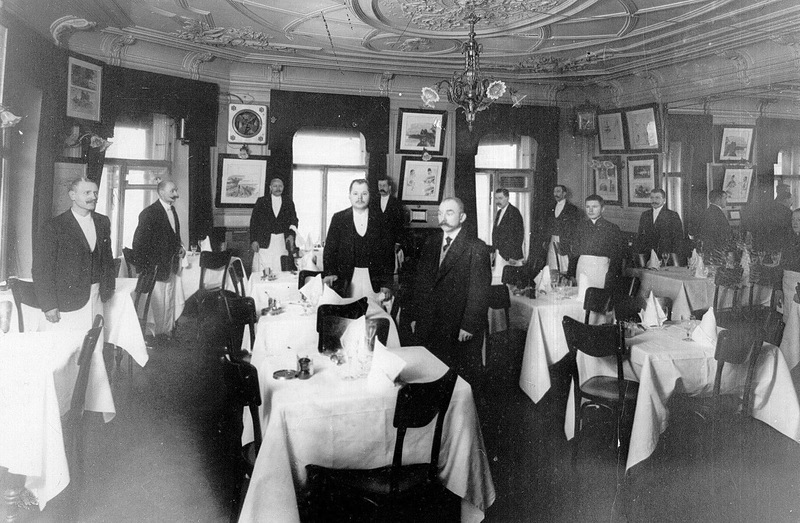 At the same time Baron’s farm found its buyers among the famous hotels and restaurants. 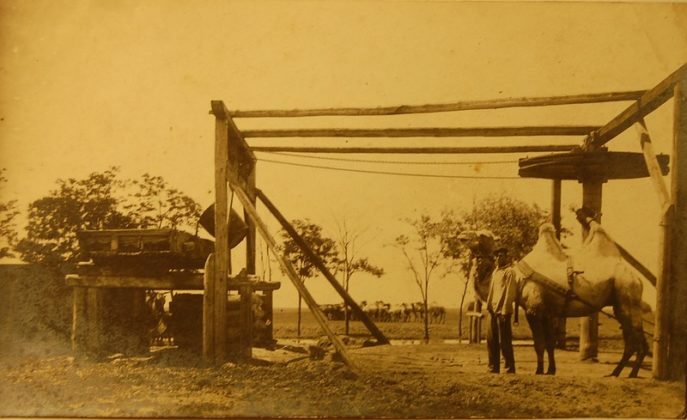 After the death of an agrarian farm in 1883, Askania Nova’s management turned to his widow Sofia Bogdanovna Falts-Fein and his son – Friedrich Eduardovich. Understanding how the Ascanian economy should evolve from the heirs was different. 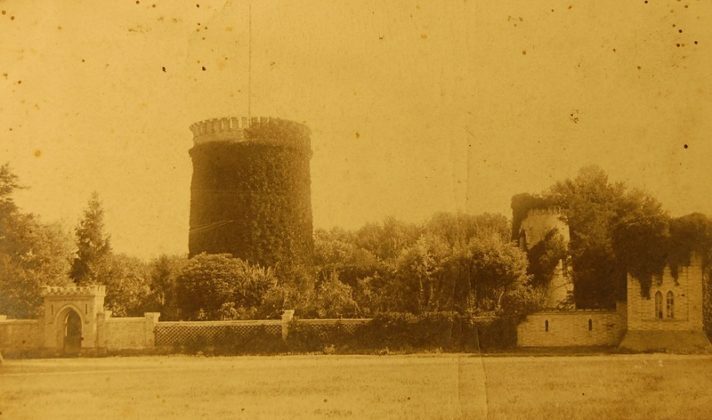 The widow of the baron insisted on the development of livestock, and the younger Falz-Fein was fascinated by the idea of a kind of private reserve. It was the beginning of the end of Askania Nova’s agricultural history. The welds between the rest of Falz-Fein occurred not only on Saturday nights. From sin, mother and son decided to move away. The widow moved to her residence in Horlach and broke a really big business. 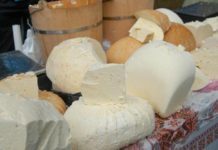 In addition to the trade in wool and lamb, the businessman invested in poultry farming, opened a winery in Preobrazhenka, launched a confectionery production in Dofino, and founded a canning factory in Kherson. Meat and fish canned fish “Falz-Fein”, with a logo in the form of “golden fish” on a bicycle, were sold both on the territory of the empire and abroad. The main export gate of the baroness was a specially built port in the village of Horley, which was created. The advantage of the port in Horlach was evident – a hot natural source was discovered near the village, which allowed the baroness to open in the Horliv non-freezing sea port. After the mother-baroness moved to Horley, the younger Falz-Fein took up with Ascanius the New. Began with innovations. In the 90s, the son of a baron, became the first in Russia, who applied an automatic shearing shearing, and later on the baron’s farm for the first time carried out the artificial insemination of sheep. Askania Nova became an outpost of the struggle against the Siberian plague – with a terrible disease that harvested hundreds of thousands of sheep only in one wave. In 1887, with the help of the Falz-Fein farm, which supplied sheep for medical experiments, scientists developed an effective vaccine against a mortal disaster. However, despite the support of the general line of the family company, the new Askaniya head was a difficult shepherd. Yes, he, like his father, cut a sheep, fed luli-kebab people, but almost everything from the sale of sheep and wool (about 20 thousand rubles a year) was poured into his own odd hobby – in the organization of his own preserve more like a zoo. His first cages for animals he settled in his childhood. In his desire to build a reserve younger Fal-Fein strengthened at the University of Dorpat, during his studies, he traveled the largest zoological gardens in the world. The amount of deductions for the organization of the zoo and the reserve increased with each passing year, and soon increased twice – up to 40 thousand rubles a year. The rising costs led to a conflict between the young owner of Askania and the estate manager, who was frankly frightened by the non-profit hobby of the young heir and his “unnecessary” biological research. It was over for a dissatisfied topa badly – younger Falz-Fein bid farewell to him. 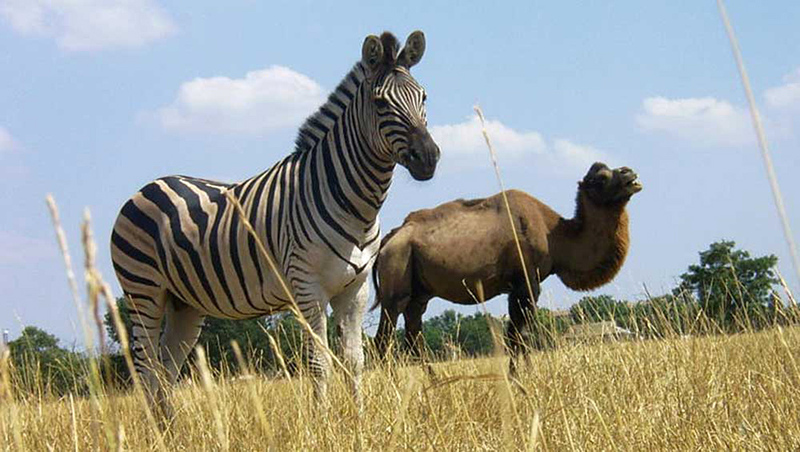 Today, in the Great Chapel Pody, in this unique area, live ungulates from different continents – from bison and zebras to antelope and saiga. 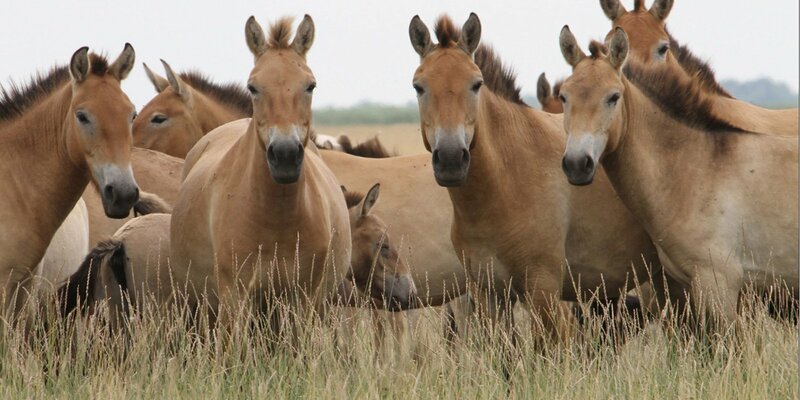 Also, here live all year round, European hounds, Przewalski horses, Turkmen kulans, donkeys, noble deer, mouflons and even two-humped camels. In the summer, from the cages released exotic vutussi, antelop canna, kafrskie buffaloes, gnus, nilgau, zebras and gaials. It’s not very like a barn, is not it? Ironically, this very, noncommercial project of the enterprising Fal-Fein became the most viable of all the previous ones. He survived the inspired sailors of the October Revolution, the Soviet “stagnation”, the period of voluminous privatization of the 1990s, and became a recognized Ukrainian natural miracle. In 2008, Askania-Nova won the “Seven Natural Wonders of Ukraine” rating, one of the organizers of which was the State Service for Tourism and Resorts of Ukraine. Of course, you should not confuse the reserve and the village of the same name. If the reserve is kept even at least at some level (including by the forces of the Falz-Fein family), the village killed in all senses is an extra proof of the fact that the former and current owners of this estate are very different from each other – the state and nobles. P.S. 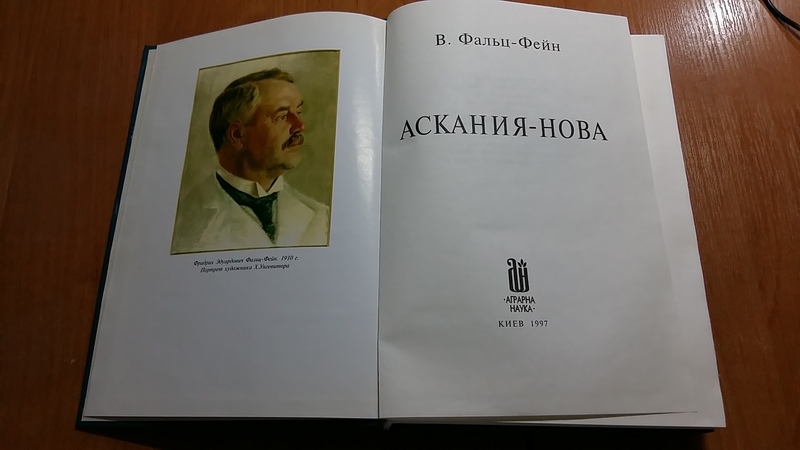 During the preparation of history, materials from the book by Volodymyr Fall-Fein “Askania Nova” (reprint of the 1930 edition) were used.